I received these products to sample complimentary from BeautyStat. I have used them for about 3 weeks. This is solely my opinion based on what I experienced with the products. I have to say I liked the product overall but there was a great dislike as well. 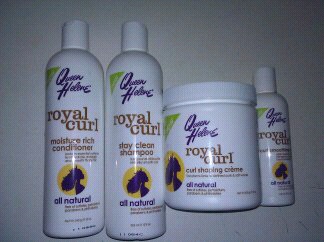 I like the overall curl enhancement I got from using the products. My hair is normally wavy and the products gave me a great curl definition. I have to say my favorite from the four products was the smoothing oil. I applied oil to my ends and I was very happy at the end result, my ends looked much healthier and it took the dry dead end look away without looking like straw as other oils do. The part that I disliked about the whole use was that it made my hair very oily and cream like, Not sure how to explain it. My roots were very oily and had a feeling of not being washed for days eventhough I had just used the products the night before. I usually wash my hair every other day but while using this I washed it daily. My overall opinion is that the products do as they say but give an oily effect at the end. Maybe this is due to my hair type not sure but, I did love the curls I got from using it and I loved the oil will definately continue to use it.